Salesforce Classic correctly lays out standard UI elements when setting a user's language to Arabic or Hebrew, by placing all menus and field labels on the right side instead of the left. While Lightning Experience correctly displays all standard UI strings in the correct language, menus and field labels remain on the left side. For Arabic language, the country regulation highly required arabic in thier Quotes templates. Thanks @Roy Gilad - I'm glad Salesforce did that. It was long due. Lightning right-to-left language support is now available in Beta! 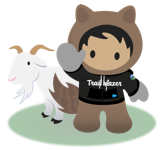 Salesforce team wants to hear your feedback during the Beta-testing process: to do so, click on the Salesforce Help Icon ( the “?” in the header bar) and select "Give feedback about Salesforce". With Winter'19, we've improved the layout for right-to-left languages, with support for UI mirroring and right alignment. Customer admins can activate and deactivate Lightning Right-to-Left Support in their org using the new Org Preference. How do I enable Lightning Right-to-Left Support? 1. Navigate to Setup > Quick search > User interface. 2. Check Enable Lightning Right-to-Left Support (Beta). We solved this problem by creating an invisible Lightning component, which could be added to any homepage layout, record, and other lightning pages. This post gives a good starting point: http://www.tgerm.com/2018/11/rtl-language-support-lightning-salesforce.html for the same. Note: You need to tweak the styling further to make things look pixel perfect, its lot of things like padding, horizontal alignment etc. We support Arabic customers in chat and definitely need native RTL for them. This is a must needed feature, especially for us working in EMEA region requires RTL. till version 15.1 in android i see the search icon although my mobile phone is in hebrew. but since the last update few weeks ago i can't see it so u cant search for records! is there any workaround or link to previous version? We also have an issue with the Salesforce app in Hebrew. The search bar doesn't appear.